The Mohawk Valley Freedom School is hosting a fundraising dinner and community group “meet and greet” on Saturday, March 28th. The event will feature live music, spoken-word poetry, and dance groups, including MVCC’s own, CP, and the Utica Tango Society. There is a $5 suggested donation (although people are also welcome to make a larger donation), and tickets are available. All proceeds will benefit the two week long summer program in August. 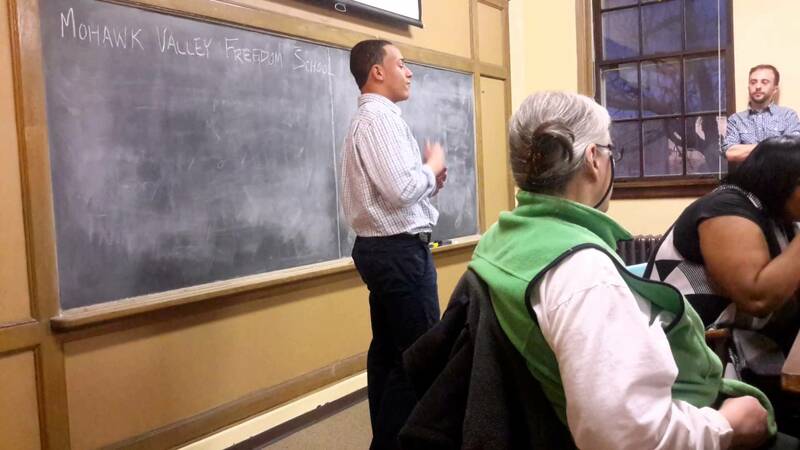 The Mohawk Valley Freedom School is a school dedicated to social justice and social change. It is an afterschool and summer program available for fee to the community. It is run by and for the community and is rooted in popular education. People of all ages and backgrounds are welcome to attend. Classes meet every Wednesday at 7pm. 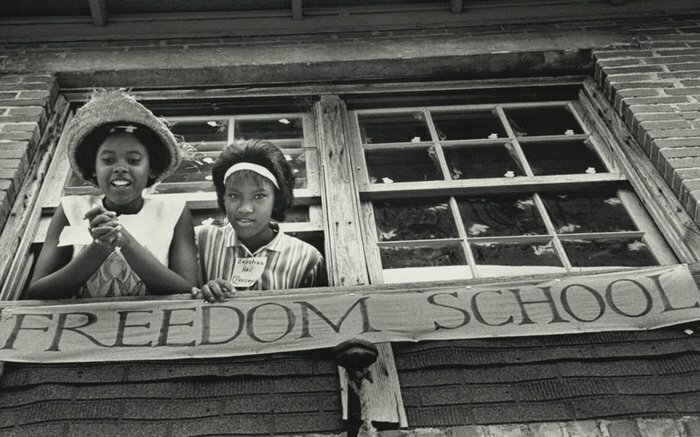 The Freedom School is located at the Cornerstone Community Church, 500 Plant St. in Utica. Freedom School organizer Marquis Palmer teaches a class on the Black Panther Party.